October is here! Time for pumpkin spice, spooky stories, and week-long coding binges! Yeah, you read that last one right. 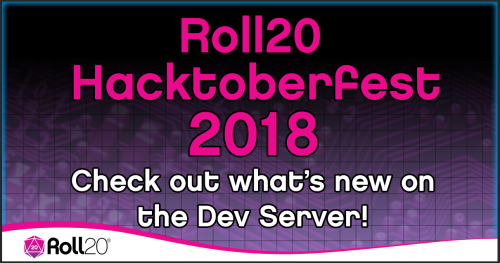 This year the Roll20 Development Team hosted an internal Hacktoberfest. In mid-September we asked our team to find projects they felt passionate about and spend the first week of October coding a prototype. Many of these projects experimented with features that integrate with our future updates, so keep an eye out for them when we announce updates to the Charactermancer and tabletop rendering. But two devs tackled stand-alone features that we’re putting on the Dev Server today for testing! If you’re a Pro user, please try them out and give us your feedback HERE. Sometimes you just want to roll the dice. 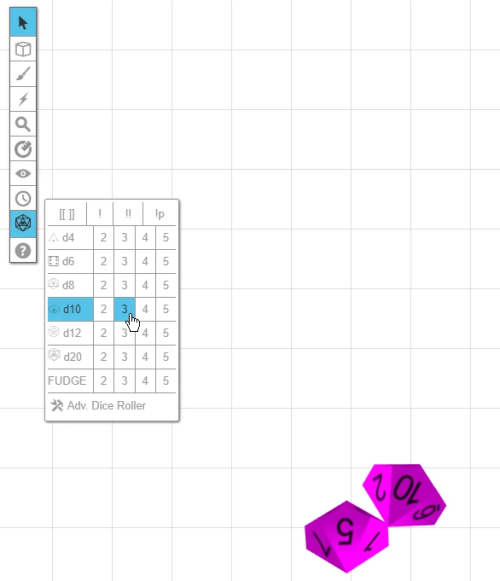 No calculations, no typing: just a d20 (or two or three) rolling with the click of your mouse. 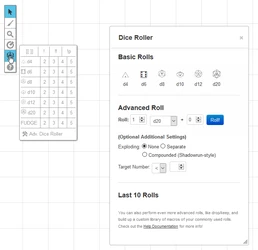 That’s what one of our developers tackled with the new Quick Dice interface on the Roll20 UI. When you hover the d20 icon on the sidebar, it will now bring up an fully-featured menu of dice that you can click to roll. Want to do something fancy or miss the old pop-up window? No problem: click the d20 icon or the “Adv. 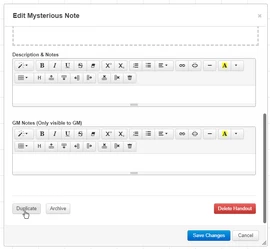 Dice Roller” option from the menu and it will appear like normal. We really enjoyed our Hacktoberfest adventure! Our team all learned new things and had fun exploring what’s possible on Roll20. We look forward to showing you more of their cool ideas when we announce details for the next update, so stay tuned!